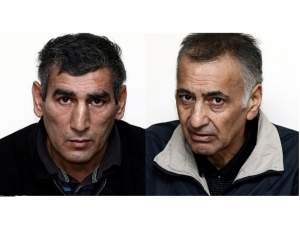 In March, the International Committee of the Red Cross (ICRC) representatives again visited Dilgam Asgarov and Shahbaz Guliyev, Azerbaijani hostages detained in relation to the Nagorno-Karabakh conflict, Trend reports referring to the Public Relations Department of the ICRC Azerbaijan Office. "We keep visiting people detained in relation to the conflict on a regular basis," the ICRC Azerbaijan Office said. According to its mandate, the ICRC visits detained individuals to monitor treatment and conditions of detention and help to ensure that the detainees are able to maintain contact with their families.